The USJJO Officers, Board of Directors, and Members would like to wish our friends and supporters a Merry Christmas and a joyous 2019! 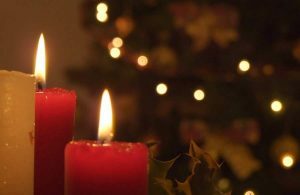 This entry was posted in Home on December 24, 2018 by webmaster. 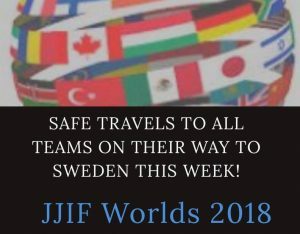 Good Luck to the USJJO Team representing the USA in the JJIF World Championship 2018 in Malmo, Sweden. We’re proud of the athletes, coaches, and officials attending this prestigious event! If you are interested in watching the event, the event organizers will be streaming this event. This entry was posted in Home on November 21, 2018 by webmaster. 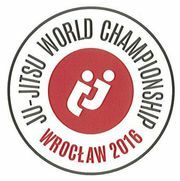 The USJJO is sending a Ju-Jitsu Team to Sweden to represent the USA in the JJIF World Championships. 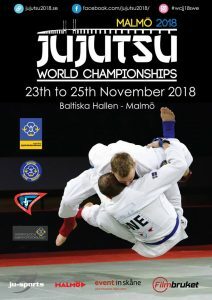 The event will be held at Baltiska Hallen, Malmö, Sweden between Thursday 22th and Sunday 25th November 2018. 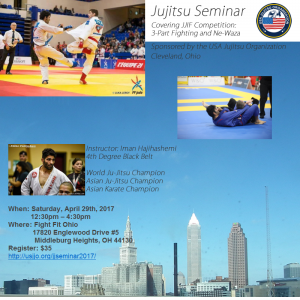 This is a unique opportunity for our country men and women to represent the United States at the highest level of competitive Jujitsu/JiuJitsu. Not only will we be sending athletes to compete in Jujitsu (Fighting) and Newaza (JiuJitsu), but, we will also be sending a team of Para JiuJitsu competitors! We are looking to raise money to help offset some of the travel expenses for our competitors and coaches. Please consider donating to our cause to help our athletes represent the United States at the highest level of competition in our sport. This entry was posted in Home on October 28, 2018 by webmaster. This entry was posted in Home on March 14, 2017 by Scott. Their mission is to create a martial arts program which empowers students to expand their minds, condition their bodies, and energize their spirit in the most fun and efficient way possible. The environment and the practice of Judo and Jujitsu is a mutual beneficial process which is strongly based on morals and ethics. Our students are able to live with the core values of self respect, humility, compassion and discipline while pursuing self perfection and improving society. This entry was posted in Home on February 21, 2017 by Scott. Where: Borik Sports Hall, Aleja Svetog Save 48, Republic of Srpska, Bosnia and Herzegovina. This entry was posted in Home on February 16, 2017 by Scott. This entry was posted in Home on February 16, 2017 by webmaster. The Ju-Jitsu events will be run according to JJIF rules. The events will be 3-Part Fighting, NeWaza and Duo. See the competition page on our website to get the rules and additional information. This entry was posted in Home on December 8, 2016 by Scott. This entry was posted in Home on October 12, 2016 by Scott. USA Competitor Larry Dupler Jr. 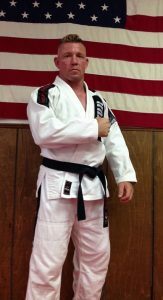 The USJJO announced today that Larry Dupler Jr will be representing the United States at the 2016 Ju Jitsu International Federation (JJIF) World Championships in Worclaw, Poland, November 25 – 27, 2016. Larry Dupler Jr will be competing in the under 77kg Fighting System for the USA. Larry recently represented the USA at the Pan-American JuJitsu Championships in Panama City, Panama. He trains at Annarino’s Martial Arts under Grand Master George Annarino in Newark, Ohio. The JJIF offers three forms of ju-jitsu competition: the Fighting System, Ne-Waza (Brazilian Ju-Jitsu) and the Duo System. The Ju-Jitsu fighting is a one-on-one competition divided into three parts. For part one, the competitor attempts to score with various strikes, punches and kicks. Part two begins after one competitor grabs the other and from there they battle for a take-down to the ground. Part three involves submissions such as strangulations, holding and barring/locking of various body joints. The winner is the competitor that accumulated the most points throughout the match, however an automatic victory may happen if the competitor received “Ippon” (clean action/full points) in each part. The Ne-Waza (Brazilian) fight starts in a standing position and the competitors try to gain points with several throwing, take-down, immobilizing techniques, sweeps and submissions. The fight can ultimately be won by a submission. If a submission does not happen, the fight is won by the competitor that has accumulated the most points throughout the match. The USJJO is the National Governing Body of Ju-Jitsu in the USA and Official Full National Member to the JJIF. The JJIF represents Sports Ju-Jitsu worldwide and is the only Ju-Jitsu organization recognized by the General Association of International Sports Federations (GAISF) and the International World Games Association (IWGA). The JJIF provides the opportunity for elite athletes from their National Members to compete in the World Games, which are organized and governed by the IWGA under the patronage of the International Olympic Committee (IOC). Including the United States of America, the JJIF has 106 member countries on 5 continents. This entry was posted in Home on September 7, 2016 by Scott.